Running a beautiful, functional, and community-oriented coworking space takes time, effort, and of course, money. We want the PatchWork Collective to connect with all different aspects of the local community — from the business owners to the artists. And now we will have our chance. Lisa Schmidt from the PatchWork Collective will be pitching our space at tomorrow night’s Ferndale SOUP event, and we couldn’t be more excited. 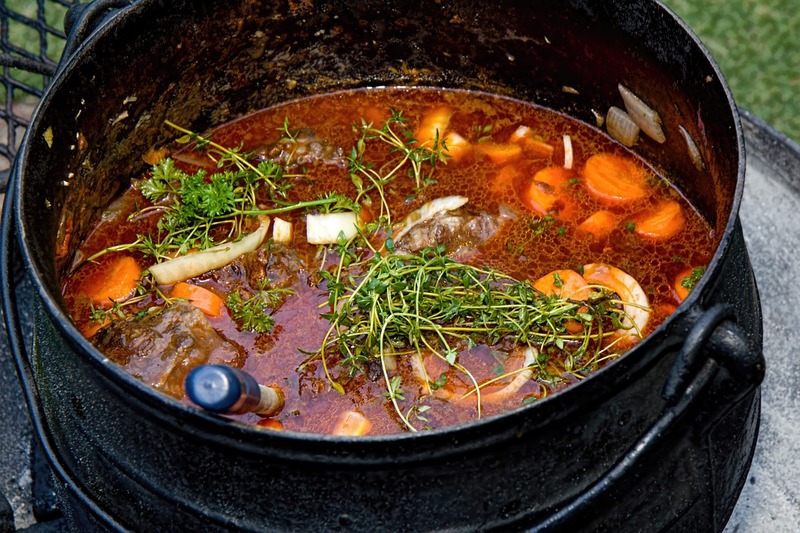 Ever hear the story about the community soup pot? When groups or communities were going through hard times, it was common for someone to set up a big pot over a fire in the center of town. Everyone pitched in what they could. Maybe it was a pound of salt-cured bacon, maybe it was a cabbage, maybe it was just some foraged mushrooms. Then, once the pot was heated through, everyone got soup! The idea is that by coming together as a community, they were able to pool their individual resources to make everyone’s lives better. No one wants to live on a diet of just cabbage. And bacon may be great for a day or two, but eventually you need a vegetable. But throw them together in a pot and you get a filling, healthy meal everyone can enjoy. Ferndale SOUP is like the community soup pot for businesses. Hosted by the Build Institute, the event “is a microgranting dinner celebrating and supporting creative projects that benefit the Ferndale community.” Everyone pitches in $5 (or more) at the door and gets a ballot. Presenters get 4 minutes to talk about the next big idea for their neighborhood and answer questions from the audience. Then each attendee gets a bowl of soup (of course) and a chance to vote. At the end of the night, the presenter with the most votes gets to take home the pot and invest it into their big idea. Just like the PatchWork Collective, the Build Institute has a heart for Ferndale. The organization has brought its Build Basics and popular SOUP events to the RustBelt Market to tap into the amazing energy in our local community. Now, in Ferndale SOUP’s second event, it’s PatchWork Collective’s turn to step up to the plate. We just got the word that we will be presenting our big idea to the local community tomorrow night, September 19, 2018 at 6:00 p.m. and we couldn’t be more excited. What a great way to get support from our local community! CEO and founder Lisa Schmidt will be presenting about our vision of the PatchWork Collective as a hub in the wheel of the Ferndale business network. She will talk about all the great options PatchWork has to offer, and how business owners, remote workers, and hobbyists alike can tap into the energy of the space. Then we’ll get to the ask. We want to do more than be a place where people can work. We want to be a space that brings people together for their mutual benefit. One way we can do that is by featuring local artists. We want to hang museum-style gallery rails in our coworking and shared spaces so that local artists can get their work in front of the business community. We hope that by doing that, we can be a source for art sales and commissions, and help artists turn their passion into a self-supporting business. Want to Help? Come Have SOUP With Us! PatchWork Collective won’t be the only one presenting tomorrow night. We will be pitted against three other great local entrepreneurs to see who takes home the pot. That’s why we need your help! Come to Ferndale SOUP tomorrow night and vote for our gallery space. You can register for the event through Facebook or Eventbrite. Then come and cheer us on and get to hear more about the PatchWork Gallery and all the other exciting things that are happening at the PatchWork Collective. We hope to see you there.